Are we building enough new houses in NZ? 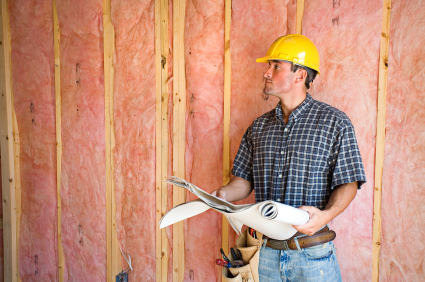 The latest data of new building consents for July issued by Statistics NZ showed that there were 1,893 new dwelling consents issued in the month, taking the moving annual total 19,146. This is the first time that the 12 month total has exceeded 19,000 since November 2008. However the release of the data whilst recognising the volume of activity is up 71% from the low point of March 2011 was showing a general easing in the rate of growth with a seasonally adjusted fall from June. The scale of construction is stronger than it has been for many years but far short of historical highs, back in the 1970's annual totals exceeded 35,000 new dwellings, in the 1980's 24,000 new dwellings a year was normal and in the early 2000's we were building over 30,000 new dwellings a year. The industry, we have been told needs to get into gear in order to respond to what has been described as a housing crisis, especially in Auckland where demand for new housing is far in excess of supply. Over the past year commentators and politicians as well as economists and statisticians have predicted that up to an extra million residents will require over 300,000 new homes to be built in Auckland alone over the next 25 years to meet this demand. This has, as we have seen heightened the debate about issues such as freeing up more land and more intensification in our major city. 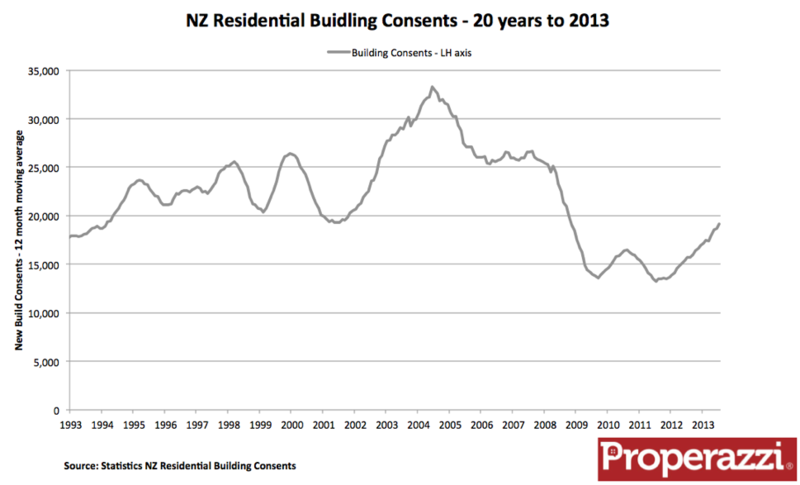 Such numbers of new builds are staggering, especially when you look and see that the total new building consents issued over the past 20 years amount to 445,000 for the whole of New Zealand. So to build 300,000 just in Auckland in the next 25-30 years when we have only built 5,000 in Auckland in the past 12 months demonstrates the massive mobilization of construction resources that will be required. Such numbers always prompt me to have a look deeper into statistics to see what insight I can discover from pairing together information. 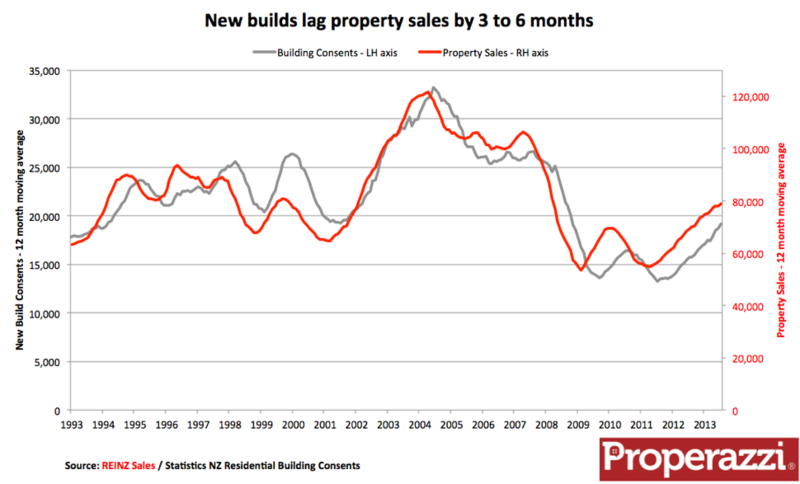 This has been my exercise this week – examining new building consents and the demand for property in NZ. The trend of new construction over the past 20 years has very much followed the economic cycle of the country as represented in the chart below which tracks the moving annual total of new construction consents for residential property. The highs in the early 2000’s to the lows in the post GFC crash in 2008 with the stuttering recovery to a level now of around 19,000 consents per year – for the whole of NZ. What is interesting is the mirroring of the trend of new build consents for residential property to sales of residential property. The chart below overlays the REINZ sales stats using the same moving annual total perspective. Effectively new residential consents track the trend of property sales with a lag of 3 to 6 months. 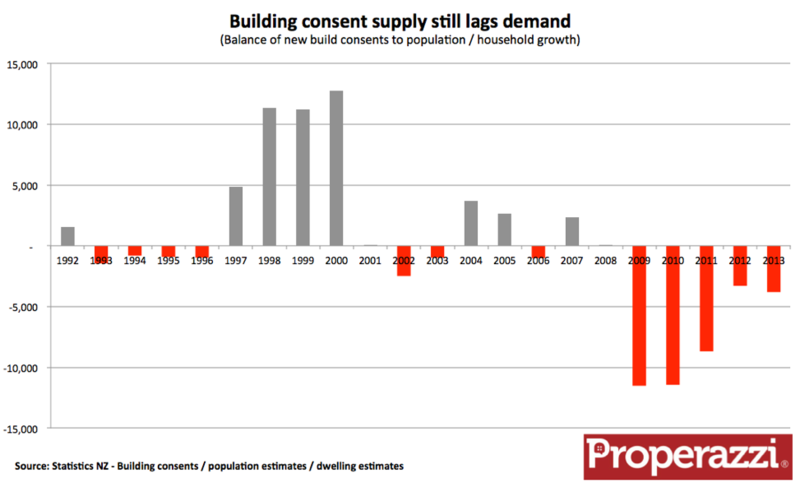 What is important to note here is the fact that the trend of consents is not the supply of new homes, more it is the intention to supply – the likely supply flow of new homes would probably on average add another 6 to 9 months to this lag. So it would seem that the level of planned new property development is closely aligned to the trend of property sales as a surrogate for true demand. The true measure of demand is driven by the population trend and also household composition - that is to say the average number of people per household. This household composition number had been falling through the 1990's as social influences and economic wealth saw smaller households. Interestingly the economic austerity as a fall out of the GFC saw a reversal of this trend as younger people stayed at home rather than seeking rental property or a first home. We may begin to see a return to the long term trend in the coming years. Analysing this data got me thinking as to the matching of new builds to the growth in population over the past 20 years, for in that time the population of NZ has grown from 3,552,000 to 4,470,000 and 500,000 new dwellings have been built to house this additional 918,000 rise in population which equates to around 2 people per household which would seem to imply we did build sufficient properties over the last 20 years. However there is always the ability in the long term for net surpluses and deficits to cancel each other out and yet still cause problems. Let me explain in the chart below. This chart tracks the annual balance of new building consents to demand for property. The demand for property is calculated as the annual increase in population adjusted for household composition for that year. To that figure of new property demand is added a quantity of new builds required as a function of natural obsolescence or destruction of the existing stock of properties. I have not factored in the Christchurch earthquake, but I have factored in a rise due to leaky homes over the past decade. The chart shows fairly effectively the over supply of new builds in the period of late 1990's early 2000's and then the significant under supply from 2009. That shortfall would seem to have been reduced in 2012 but 2013 is showing it increase again. That collective shortfall over the past 4 years amounts to over 38,000 properties. Clearly we do need to be building more homes, without such supply we will continue to see upward pressure on existing property prices.